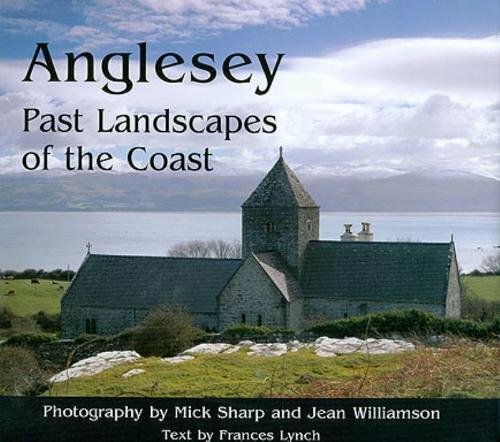 Anglesey lies off the Gwynedd coastline of North Wales. Its ancient credentials, as the headquarters for Celtic Druids, lives on in its Christianized landmarks. Even the most cursory wander across Anglesey reveals its rich past. An abundance of menhirs, cairns and megaliths is concentrated within its borders. The landscape is marked with the remains of fortresses and other settlements. Some belong to the Romans or Iron Age Celts; others are much older. Here are place-names lifted from legend. From the Mabinogion, there's Aber Alaw, where Branwen died of grief upon her return from Ireland. Her cairn Bedd Branwen can still be seen near Llanddeusant, right where we'd expect it to be, on the banks of the River Alaw. 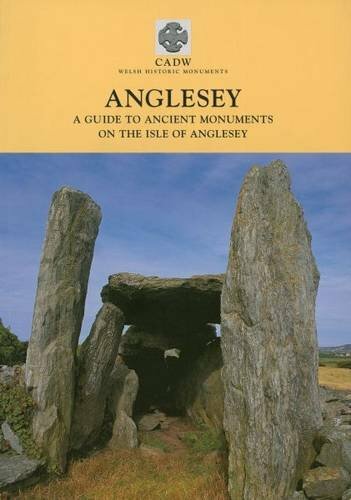 Dig a little deeper and Anglesey's importance in Pagan history becomes even more apparent. Still called Ynys Môn in Welsh, this island was the ancient home of the Druids. Ynys Môn (Anglesey) was once the focal point of the Druidic faith, so is it any wonder that its deities did not go quietly? Before 60 CE, this island - lying off the coast of North Wales - was the Druidic equivalent of the Catholic Vatican City today. It was covered in groves and sanctuaries; schools for all three of the silver branches. 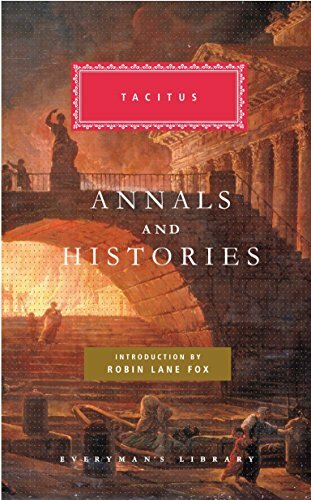 The High Priests and High Priestesses there encouraged British warriors to rush into Gaul as mercenaries, to help their Gallic brethren in the struggle against assimilation into the Roman Empire. Hence Gaius Suetonius Paulinus led his Roman legion to smash the influence of the Holy Island. 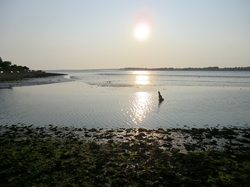 The Romans reached the banks of the Menai Straits - roughly around Bangor now - and stared across that narrow channel. 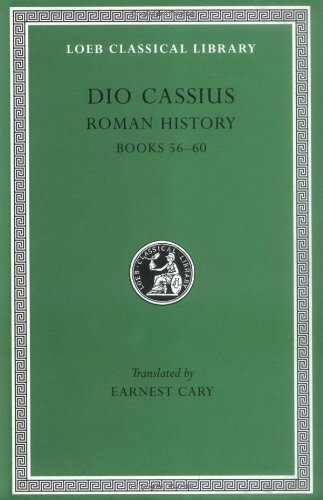 Ensuing events were recounted by two Roman historians, Cassius Dio and Tacitus. In one version, the soldiers had found the one place where the waters could be forded (thus showing how much the Irish Sea has risen over the past two thousand years); or else they created a pontoon of boats to act as a bridge, as told in version two. Then they hesitated in pure intimidation. On the shore stood the opposing army with its dense array of armed warriors, while between the ranks dashed women, in black attire like the Furies, with hair disheveled, waving brands. All around, the Druids, lifting up their hands to heaven, and pouring forth dreadful imprecations, scared our soldiers by the unfamiliar sight, so that, as if their limbs were paralyzed, they stood motionless, and exposed to wounds. Paulinus basically appealed to the male pride of his soldiers, scorning them in fearing a bunch of women. Testosterone raised along with their standard, the Romans rushed onto the island. They wrestled the brands from the hands of Druidesses, then used them to set fire to the ladies and their groves alike. Elsewhere other Druids were killed with swords over their own altars. By the time the Menai Massacre was over, everything that represented Druidism - human, site and artifact alike - was destroyed. The old Celtic faith had lost its center of operations, but the conquest couldn't be made certain immediately. Paulinus had to quickly withdraw from the slaughter, as news reached him that Boudicca begun her uprising in the south. But it was too important to simply tear down and walk away. Places like that could be rebuilt. Eighteen years later, Gnaeus Julius Agricola made it a priority to secure Ynys Môn, even while much of the rest of Britain was outside the Empire's control. In 78 CE, the Roman Governor of Britain completed the conquest of Anglesey and built a fortress straddling both sides of the Menai Straits. 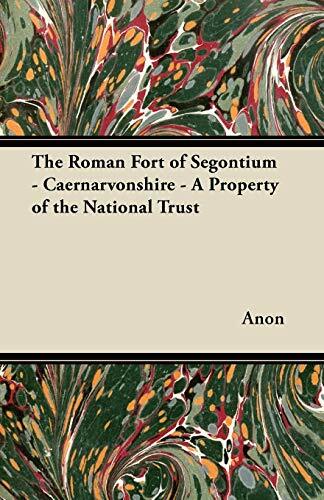 Segontium was one of the first Roman sites to be populated with a permanent cohort of legionnaires. It was also one of the last to be abandoned, after 410 CE, trailing after the general Roman withdrawal from Britain. Christianity had long since flooded into the area by then, brought by missionaries traveling throughout the Roman Empire. So what happened to the Druid faith then? Discover more about the crushing of the Celtic Druids in these books detailing the Roman destruction of Ynys Môn. There is a profusion of Druid deities transformed into magically charged Christian holy figures. It's testimony to the struggle involved in the initial Celtic conversion. I spent a bemused evening recently peering carefully at a modern map of Anglesey. Not everyone's idea of a good night in, I grant you, but there was plenty to entertain any Pagan with a half decent grasp of Welsh. If anyone ever needed proof that the early Celtic Church assimilated many of the old Pagan deities, then it lies there. Anglesey is its modern, English name. To the Welsh, it is Ynys Môn - Island of Môn, aka Manannán, the Welsh God of the Sea. The deity also named the next island up to the north - the Isle of Man. Others have argued that its ancient name Môna refers instead to the Mother Goddess - Don or Modron. Its more poetic monikers add more hints - Môn Mam Cymru (Môn Mother of Wales); Ynys Dywyll (Dark Island, or Isle of Shades); Ynys y Cedairn (Island of the Brave); or Y fêl Ynys (the Honey Isle). There are so many churches for a relatively small place. Dozens of them dotted around the island. And you can practically trace the old groves in their names. Always present is the Celtic Great Mother Goddess Don, whose name is linked in legend to the Tuatha de Danann; and now lives on in the rivers Dee, Don, Dyfi and Danube; the towns and cities of Aberdeen, Donetsk and Donnington; and the county of Devon. St Dona built her church on Anglesey. It's in Llanddona (Church or enclosure of Dona) right next to a 6ft standing stone. The transmitting tower there today provides television signals for the entire of North Wales. Also on the island is the town of Gwalchmai (Hawk of May), which we're told is named for a later bard of the same name. Not the eponymous Green Knight, so linked to the Arthurian legends, and better known in the English speaking world as Gawain. Even if his church is dedicated to St Morhaiarn (Morrighan, Morgan), whose feast day is Hallowe'en. What too do we make of St Ederyn, in Bodedern (dwelling place of Edern)? The ecclesiastical histories don't even pretend that He's not the same Ederyn ap Nudd of Celtic legend, son of Gwyn and divine warrior of the Underworld! 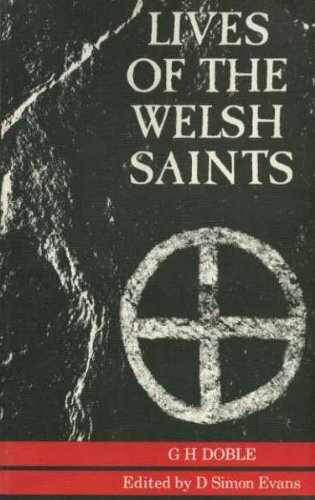 The Lives of the Welsh Saints isn't obvious reading matter for Pagans, but it can be downright illuminating. Especially if we're guided by those who feature in Anglesey place-names, including towns, villages, ancient monuments and natural landmarks; with particular attention paid to whom the Môna churches were dedicated. Nor is it confined to that holy island. Though it's more obvious there, a practiced eye can discern the pattern across Wales. Not every early Christian Celtic saint is a remnant from an uprooted divine pantheon, but enough are to make it quite clear that such things occurred. What happened to the Celtic Gods and Goddesses after coming of Christianity? Some staggered on in fairy tales, others were lost and a few were incorporated. Zoom in or drag across the streetmap figure to explore the ancient history preserved in the place-names of Ynys Môn. The Awen I sing, from the deep I bring it. (Taliesin) Natural Druidry is a deeply personal account of one man s journey through the dappled groves of culture and tradition. Written by the head of today's Anglesey Druid Order. Link suggesting that Môn before the Romans was Menapii. It's also the theory of Norman Mongan in "Menapia Quest". The influent druids were very probably Menapians druids. Ah! Yes, true story. It's been a while since I read it. Perhaps I'll join you with a re-read. If there was a conversion on any significant scale we must recall that Ireland was several kingdoms and the poltics of one would differ from the poltics of others, and poltics were very fluid, so purely poltical conversions would not last. I'd heard, but forgotten that, many years ago. Thank you for the reminder. It does seem that the early Christian Church, at least in Eire, was Druidic. I wonder if it was a political or spiritual conversion. Thanks, Jo. That's next book on the reading list after I finish my present one. What is worth noting in connection with what you say is that the Irish church used the druidic tonsure,in which the hair was shaven at the front. This does indicate that the Christians did not see the druidic tradition as totally inimical to what they stood for. You REALLY should read Thomas Cahill's 'How the Irish Saved Civilisation'. He basically argues that the Druids in Ireland converted en masse to Christianity, and that the Church there was basically the Druidic network - and admin etc - under another name. When the Vandals sacked Rome, followed by the Huns et al, then it was the Irish Church which effectively became the temporary centre of Christianity around the world. They were able to provide all of the documentation later, when the Roman Church was ready to rebuild. I'm no expert here, so I can't judge how credible Cahill's evidence and arguments are, but it sounds like something you could really get your teeth into. Note how intellectually vigorous Irish Christianity was. Is this to do with clerics having to hone their minds in discussions with the Druids, who were strong in Erin? At least two of my branches end up in Ireland too - though I suppose I'm looking at that like a historian, rather than a normal human being. The branches quite patently ended up here! Yes, I frequently encounter British people wandering around Ireland (before that was a seriously bad thing). There are legends about Arthur and Merlin going. Gildas was lodged there for a while to. Lots of Welsh saints, in fact, had some time in the monasteries of Eire. Plus you get hints from the divine legends, like St Dwynwyn (not at all to be mistaken for the Welsh deity of precisely the same name and aspect and just about everything else), who was being abused by Maelgwn Gwynedd, so she walked on water across to Ireland to escape him. I've not actually looked, but I'm certain I'm going to find British druids cropping up in the Irish Annals. I did not know that Welsh legends chimed in with my theory about druids surviving the Roman atrocity. British pagans could cross to Ireland and seek druidic ministry/training, and some druids may have made the opposite journey as Rome's grip began to fail. The idea of people crossing the Irish Sea appeals to me: it's how half my genes arrived here. That would make a lot of sense. It also chimes well with the Welsh legends, both of its bards and its priests. There's a lot of them where people cross back and forth over the Irish Sea. You're probably onto something. Yearly calendars are useful anyway for recording all of your important appointments and birthdays. Those created for Wiccans also include the Sabbats and the phases of the moon!